Baird today announced that it has added a veteran financial advisor team, The WE Group, a total of five wealth management professionals, to its Milwaukee office. The new talent brings the number of financial advisors in Baird’s largest wealth management office to 60. Previously with UBS, The WE Group brings 50 years of combined industry experience to Baird. They are joined by Client Relationship Assistant Paula S. Scherbarth. Westphal previously managed UBS’ Milwaukee office. Prior to that, he was a complex manager at UBS and Piper Jaffray, responsible for leading southeastern Wisconsin. Baird added more than 100 Financial Advisors to its Private Wealth Management group in 2009, the vast majority of whom are industry veterans. The firm has added 34 Financial Advisors and Branch Managers since the beginning of 2010. Since the beginning of 2009, Baird has opened or announced plans to open wealth management offices in several new markets. New office locations include Winston-Salem, Denver, Sacramento, Calif., Lynchburg, Va., and Baltimore and Easton, Md., among others. In addition to Charlotte, the firm also has announced plans to open offices in Raleigh, N.C., Portland, Ore., and St. Paul, Minn. Using a consultative approach, Baird’s more than 650 Financial Advisors deliver comprehensive wealth management solutions to clients nationwide. They have the resources to oversee the complete financial picture for high-net-worth families and individuals with complex financial needs. 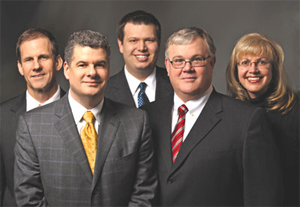 Baird Financial Advisors managed and oversaw more than $58 billion in client assets as of March 31, 2010. Baird is an employee-owned, international wealth management, capital markets, private equity and asset management firm with offices in the United States, Europe and Asia. Established in 1919, Baird has more than 2,400 associates serving the needs of individual, corporate, institutional and municipal clients. Baird oversees and manages client assets of more than $78 billion. Committed to being a great place to work, Baird ranked number 11 on FORTUNE’s “100 Best Companies to Work For” in 2010 – its seventh consecutive year on the list. Baird’s principal operating subsidiaries are Robert W. Baird & Co. in the United States and Robert W. Baird Group Ltd. in Europe. Baird also has an operating subsidiary in Asia supporting Baird’s private equity operations. For more information, please visit Baird’s Web site at www.rwbaird.com.